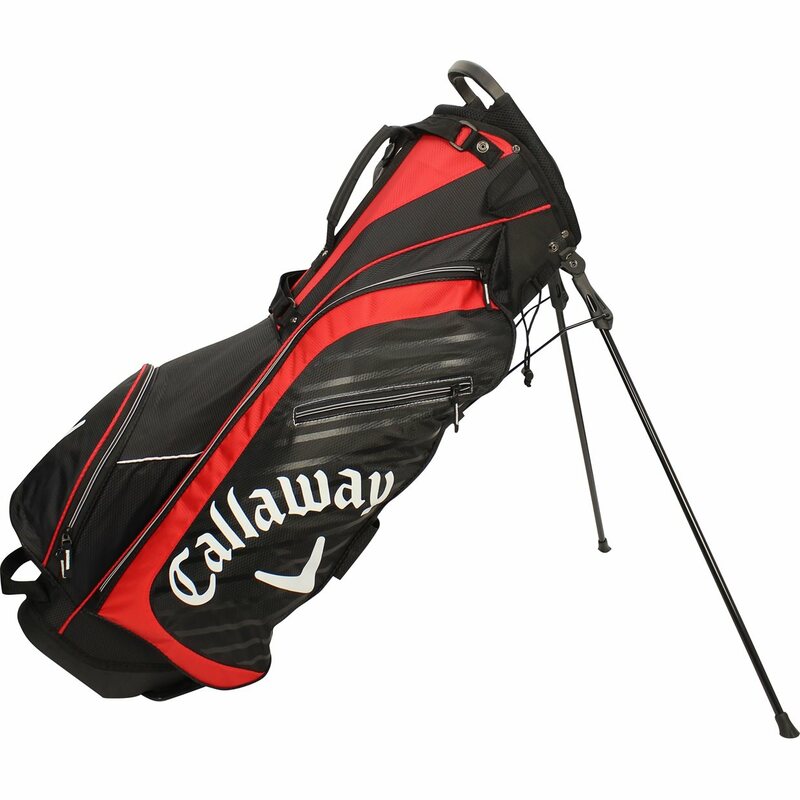 The Callaway Highland stand bag provides ample storage for all your golfing needs in a lightweight design. 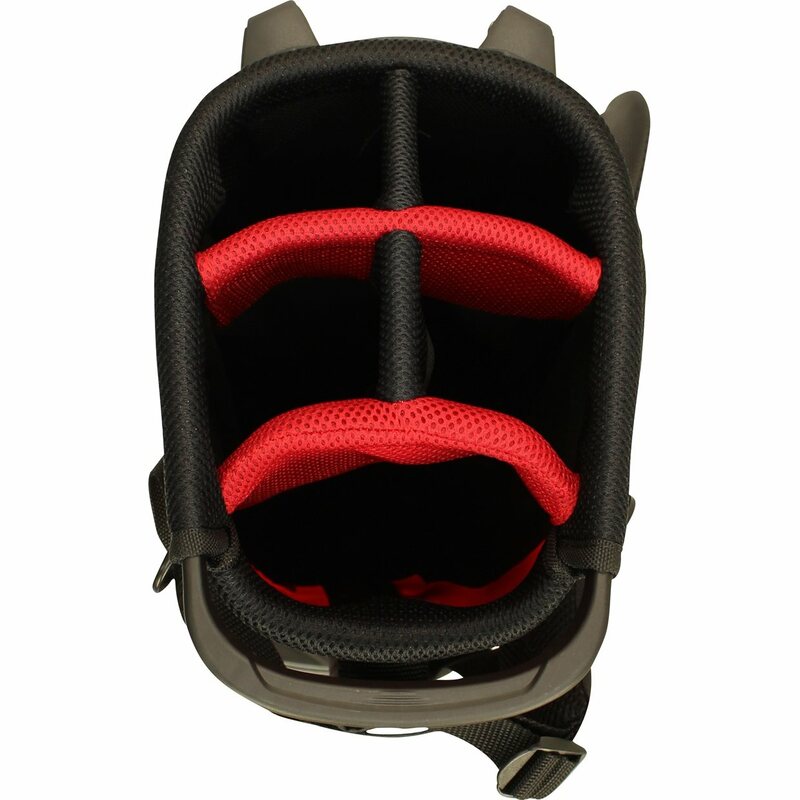 The 5-way mesh-lined foam top is gentle on your clubs while the six integrated forward facing pockets provide more than enough storage for clothes, valuables, balls, etc. A reinforced base offers protection and stability and a handle on the bottom of the bag allows for easy lifting. 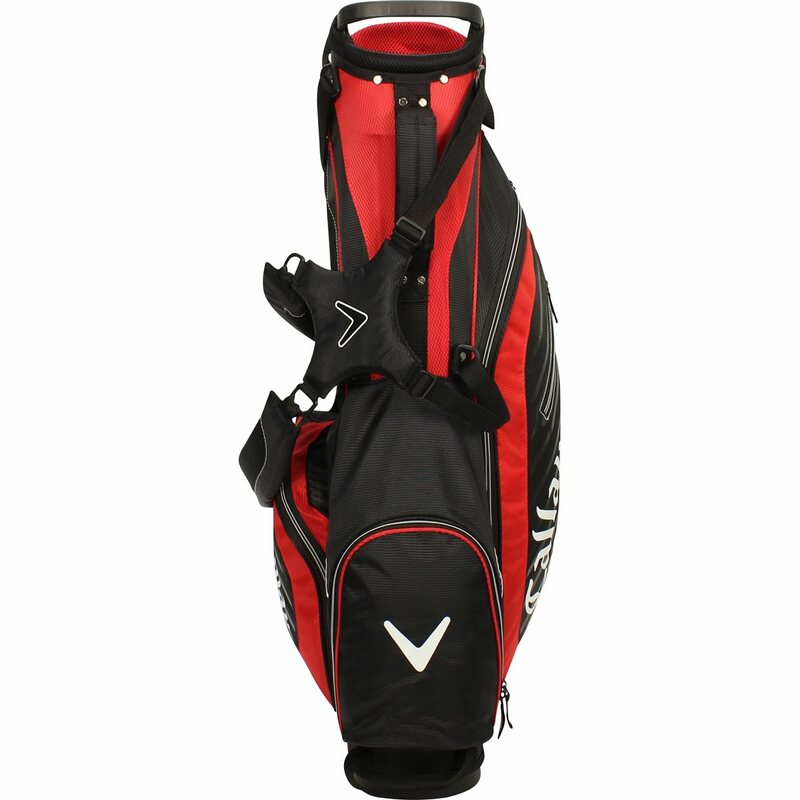 Additionally, this bag features a removable, padded strap and a stand for easy placement on any surface.